Most of us choose to stay in luxury international hotel brands for a semblance of familiarity when we travel. The comforting, all-too-recognisable scent of white tea with wood cedar and vanilla blend? Brings nostalgic memories from the trip to Rome two years ago. The fluffy, heavenly bed of a particular hotel that makes you feel like you’re floating on cloud nine? Perfect after a long day. However, sometimes you just want to take a break from regular programming and venture into the unknown (read: staying at a stunning boutique hotel that accurately reflects the city you’re in.) And there’s no better place to do this than in Bangkok. While similar to Singapore in so many ways, the Thai capital has more of an electricity to it; rich in heritage and boasting its own unique aesthetic. 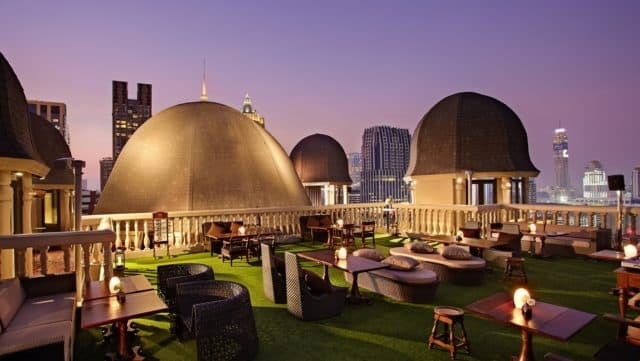 If you’re planning a weekend getaway to Bangkok soon, here are the trendiest boutique hotels to check yourself into. All you have to do now is just wait until the smog clears. 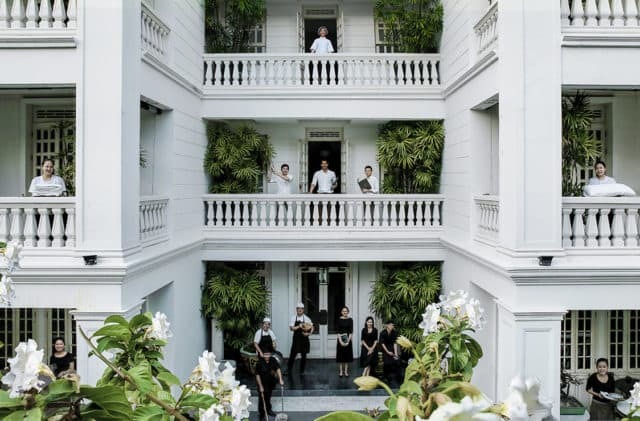 Dreamt up by celebrated interior designer Eugene Yeh, The Cabochon Hotel evokes old-world charm in the heart of Bangkok — discreetly hidden at the end of the small but tranquil Sukhumvit Soi 45 off the fashionable Sukhumvit road. The hotel, with a name that means “polished gem”, embodies the romance and heritage of a bygone era in the orient. Accommodation here range from a studio to two- or three- bedroom suites. This stunning hotel-meets-museum will transport you back to Thailand’s publishing heyday in the mid-twentieth century. Located in six blocks of authentic 1960s shophouses on Lan Luang road, the residence was once home to the iconic Bangkok Weekly magazine. 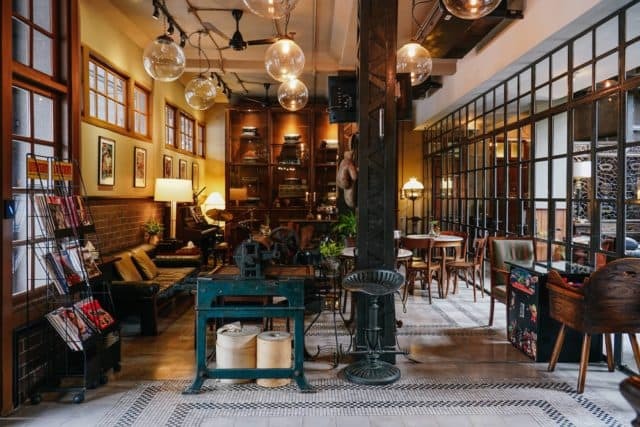 The small boutique hotel houses eight well-appointed guest rooms designed to reflect nostalgic charm, flanked by antique furniture and timeworn wooden floor. Dubbed as the most romantic hotel in Bangkok, the Amdaeng Riverside Hotel is located along the Chao Praya River. 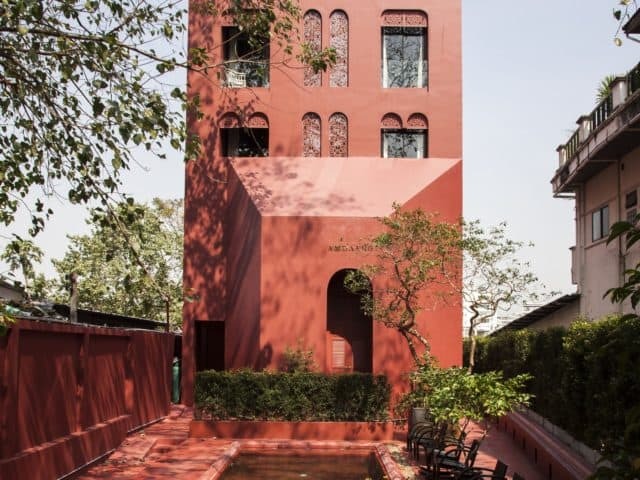 The property is recognisable by its vermillion-red facade and all-red swimming pool, alongside rooms designed with antique furniture, roll-top bathtubs, huge showers, and balconies. Every room type, from the deluxe rooms to river suites, boast impressive river views from the balconies. Amdaeng Bangkok Riverside 12/1 Chiangmai Road, Khwaeng Khlong San, Khet Khlong San, Krung Thep Maha Nakhon 10600 Riverside Hotel Bangkok. 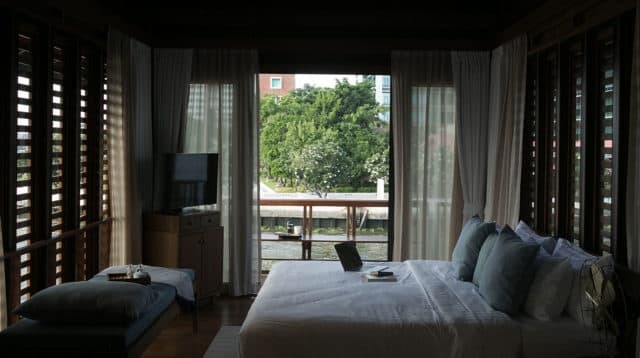 This sleek riverside retreat in the historic Bangkok Noi community is a hidden gem at the intersection of the Chao Phraya and Bangkok Noi Canal. The property is housed inside partially renovated old wooden houses and newly-built buildings connected by a wooden walkway. Its 18 rooms and four suites are spread over several teakwood villas, with rooms designed warm wood, natural textiles and a touch of mid-century-modern design.